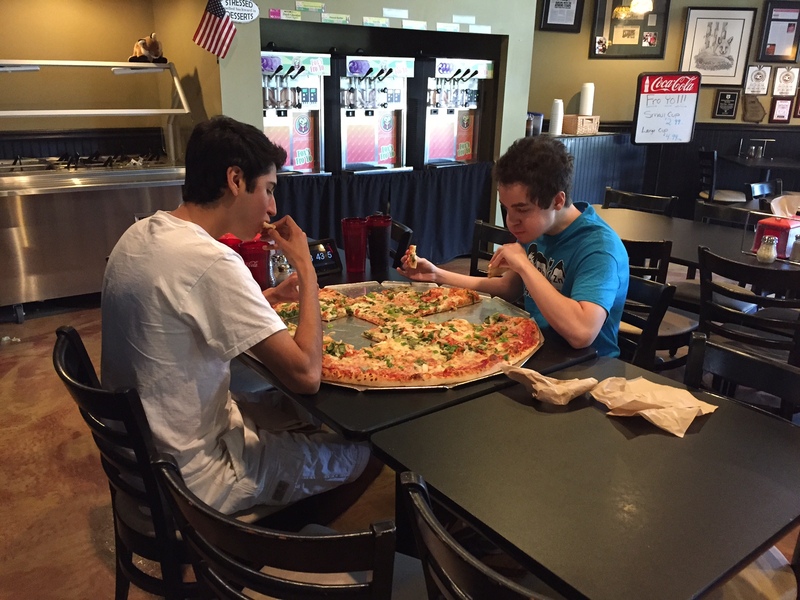 Pedram E and Mark R learned about Fox’s and our delicious 52 slice 30″ pizza, and wanted to challenge our current 3 person champions. Currently, a three person team has completed the challenge in only 35 minutes. Although the team of Pedram and Mark didn’t complete the challenge in record time, they were able to complete the 30″ Big One pizza as a team in the allowed 52 minutes to conquer the challenge! The 3 toppings of choice were spinach, green peppers and onions, so they definitely enjoyed lots of fresh vegetables! Interested in ordering your very own 30″ “Biggest Pizza in Town” for your next party or event, or have 2 friends that would like to join you for your very own pizza challenge experience? Give us a call today 678-661-0220! For more information, visit our Big One pizza page!